When you want to find an app, whether you know what you’re looking for or you just have a general goal in mind, your starting point is probably the App Store. Now, if you’ve developed an app or even considering it, think about how important the app store element is to whether or not your app gets downloaded. App development company Buildfire wrote on the topic recently. They cited research from TechCrunch where people overwhelming reported finding the apps they downloaded by searching the app store. “The study shows pretty clearly that app developers need to focus on app store optimization (AS), as opposed to other mobile app marketing channels,” writes Ian Blair of Buildfire. 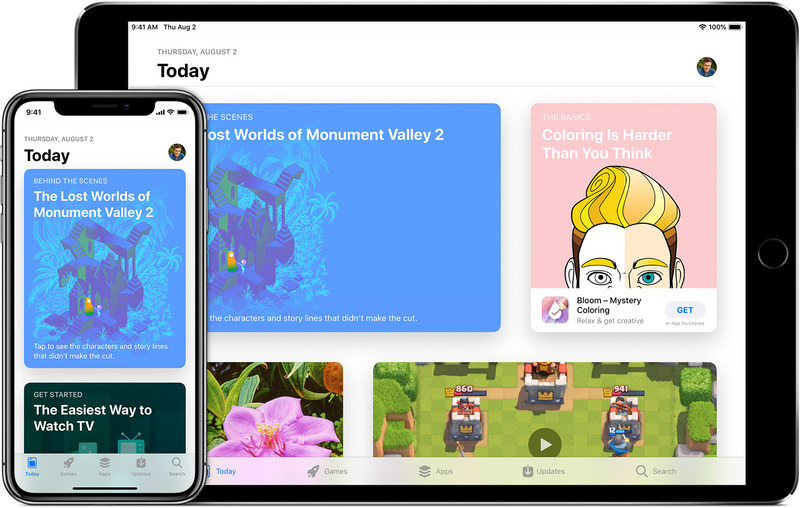 The general importance of app store optimization isn’t going to go anywhere in 2019, but the following are some tips and best practices to keep in mind in terms of ASO this year. Keywords: Optimizing keywords depends on choosing a title, writing a description optimized with the right keywords, and if relevant, using localized keywords. Visuals: This includes the icon that represents your app, the screenshots that represent it, and if you have a video, that falls into this grouping as well. Your app ratings and reviews are relevant for optimization, as are the number of downloads and uninstalls you have. Selecting keywords has always been and will remain one of the most important aspects of optimizing your app on the app store. You don’t necessarily want keywords with the highest search volume. You want keywords that are highly relevant to your app, but also ones with less competition so you stand a chance of ranking for them. When you’re creating a title, keep it short and descriptive. If your brand isn’t one that is widely recognized currently, your title can be the name of your company and a description of what the app does or is used for. Screenshots are important and for today’s discerning mobile users, having one or two images probably won’t be sufficient. Use only high resolution screenshots and include anywhere from 8 to 10 for the best results. You want to show what your app looks like, give a feel for how it works, and you want to showcase how it’s different. So much of what you do when it comes to marketing is about the imagery. Linkbuilding is a concept that’s used by SEO teams for websites, but it’s relevant if you’re optimizing your app on the app store as well. You want to get people linking back to your app. This isn’t something you do only at the beginning and then stop either. Linkbuilding should be an ongoing priority. When you’re getting a lot of links back to your app store listing, you’re increasing your rankings at the same time. Other specific things that affect your app ranking along with internal links on the app store itself are the number of ratings you have, downloads and installs (installs are more important), user engagement and retention, and the average rating score. Even if you know how important ratings are to your app store ranking, you may not be sure how to go about getting them. Design a plan for asking for feedback from your users. You might want to automate it so that you’re asking them when they’ve reached a pivotal point of an app. For example, maybe ask once they’ve made an appointment through the app or reached a milestone in the game. This will all depend on what kind of app you have. If you receive feedback, try to respond to it. In the early days it can be fairly easy to respond to every review. This includes the bad reviews—in fact, responding to the bad ones can be more important than responding to the good ones. Use the feedback to make improvements and let your users know that you hear them and that you’re taking what they’re saying seriously. Finally, a few general mistakes to avoid include first, using too many keywords in your title. It’s not appealing and it feels spammy. Another mistake to avoid? Don’t make your description too long or complicated. You’re trying to appeal to mobile users, and you need to keep it short, direct and relevant. Your description can be very powerful when you keep these tips in mind. You want it to be easy to read as well.